A Perfecting and Illuminating Cream. GG Cream is not your average foundation, marrying the beauty of make up with the skin care properties that GERnétic is famous for. Packed with natural plant extracts, peptides, oils and nutritive molecules, GG Cream stimulates cell growth and enhances the health of the skin. Finally, make-up that is actually good for your skin! 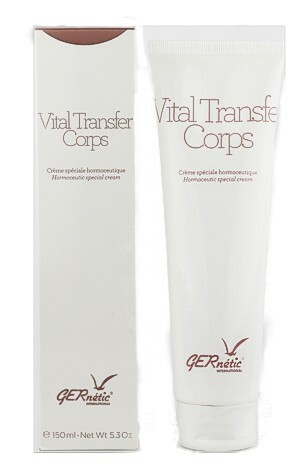 Discover luminous skin that is full of vitality with GERnétics GG Cream and change the way you think about make-up. Biotechnology Ferments, peptides, oils and plant extracts, nutritive molecules, cell growth stimulator and natural skin anti-fatigue factor. GG Cream associates all the necessary elements for proper cellular health and functions. Apply GG Cream evenly to the entire face and neck as a day base for a natural effect on top of the necessary GERnétic Skin Care products.